The ramblings & obsessions of a fisherman's wife! 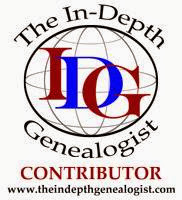 ~ a potpourri of history, genealogy and books. Also some general ramblings if they take my fancy! I have been following the adventures and activities of Alfred via his All Things Sicilian website for about a year or so. I then saw an email by which he mentioned his second book and I was instantly intrigued. I had missed all references to an earlier book. I headed straight over to the web page to read all about them and to purchase a copy of the first book. I also wrote to Alfred to advise that I was planning, once purchased and read, to review his first book, before purchasing the second. The Reverse Immigrant : Return to my Sicilian Roots was published by Alfred in 2010. It arrived with me across the pond about a fortnight ago and I was impressed, both with writing style and publication quality. Having ordered from the website my copy arrived signed by the author. The book was clearly written in instalments that have been pieced together; that is not a negative; the book reads like a series of conversations and is like spending time with an old friend. There is a general mix of Alfred's family, his parents and grandparents and memories of those who have shaped his life, his friends and business, together with his hopes and plans for the future. There is some history and general information of Sicily. There is also factual information and there are the chapters written with humour that made me smile and laugh. There is above all, a deep sense of love for his family, friends and his Sicilian heritage. Alfred's family history is by no means isolated. It is representative of what thousands of immigrants did. They left their native country with little more that the clothes on their backs and small change, to build a better life in another country. Thousands of Italians and Sicilians walked, yes walked, across their native Country to the coast where they boarded a boat to start their new life. Some walked further, and walked across France to the French coast and boarded boats to England. Some ran out of money and made their lives in England, some worked to earn the money to carry on to America and some went directly to America. Whatever their journey those men, women and children did that to build a better life for themselves and future generations. Having arrived into another country they not always treated well and lived a hard life, all the while thinking of the life and people they left behind, the traditions and values. It is those traditions and memories that have carried on and been passed down to descendants such as Alfred and it those details which appear in this book which is a reflection of the sacrifices made. It is those who are honoured. I am in complete awe of Alfred's plans; which you may have guessed from the title, is to return to his heritage home in Sicily from the United States. That is not an easy decision to make,even for part of a year, to leave your love ones in order to follow your dreams. I admire Alfred's courage and the love he has for his family and heritage, as he completes a full circle. What an interesting story! As hard as it is to emigrate, I think it is almost as hard to return because you really don't fit into your "home" anymore. Hello! Thanks for stopping by and choosing to leave a message. I read every message and I usually reply via the comment thread. Posts are currently moderated due to the sudden influx of spam postings! Book Blogger Hop - Pets! Tea Cup Tuesday - Tea In the Garden! Simple Pleasures - Happy Memories & Sharing them! She Writes Blog Hop Number 6! Tea Cup Tuesday - Almost Snap! Creative Bloggers - The Contents of a Box! Sunday Stamps - Set of Six dogs! Sunday Stamps - Beginning to End? Anglers Rest. Watermark theme. Powered by Blogger.